In the early years, little was known about the physiological effects of extreme altitude, and mountaineers the world over wondered if they could possibly climb Mount Everest, the world's highest mountain. It was a leap into the world of the unknown, travelling to far off lands and launching huge expeditions up the slopes of the Himalaya to altitudes no human had ever experienced. Eric Shipton, considered the best mountaineer of his day and a veteran of the expeditions to Everest in the 1930s, predicted that Everest would eventually be climbed, although he was quick to qualify his prediction with commentary on the physiological limitations of high altitude mountaineering: "It would seem almost as though there were a cordon drawn round the upper part of these great peaks beyond which no man may go. The truth, of course, lies in the fact that, at altitudes of 25,000 feet and beyond, the effects of low atmospheric pressure upon the human body are so severe that really difficult mountaineering is impossible and the consequences even of a mild storm may be deadly, that nothing but the most perfect conditions of weather and snow offer the slightest chance of success, and that on the last lap of the climb no party is in a position to choose its day." Around the turn of the twentieth century, the initial problem of climbing Everest was not one of height or difficulty, but of merely gaining access to the mountain. Neither Tibet, nor Nepal, across whose borders Everest straddles, welcomed outsiders. Only through top level diplomacy and a personal appeal to the Dalai Lama was permission finally secured for a British reconnaissance party to visit Tibet in 1921. Their goal was to ascertain if a route to the summit of Mount Everest could be found. Unlike our Everest Quest expedition, which is approaching the summit from the south side, these first explorers approached from the north. A small group of seasoned travellers - one or two mountaineers as well as a few naturalists and surveyors - set off from Darjeeling on May 13th of that year under the leadership of Colonel C.K. Howard-Bury, an Irish aristocrat. The expedition's oxygen expert, Dr. A.M. Kellas, who joined the party in India straight from another strenuous excursion, died of altitude-aggravated dysentery during the six-week march towards Everest, and the health of the mountaineering leader, Harold Raeburn, also broke down. George Leigh Mallory assumed responsibility for most of the exploration to the north and east of the mountain. After four months of circling and studying Everest, they were within striking distance of setting foot on the mountain itself. After a cold night's camp near the top of Windy Gap, they set off across the East Rongbuk basin with surveyor Wheeler and some porters towards the slopes of the North Col, and began to climb its icy slopes. A gale was raging on top, whipping snow into whirlwinds of deep snow. They took a few steps into it before being forced back. Still to Mallory's experienced eye, the route ahead from there to the summit looked long, but feasible for a fresher party. 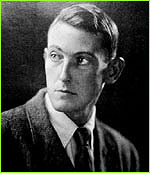 British expeditions, including George Mallory, returned in 1922 and 1924. In '22, George Ingle Finch and Geoffrey Bruce reached the historic height of over 27,000 feet, using flimsy and cumbersome oxygen apparatus. But that still left 2,000 feet of altitude and a full mile of climbing to reach the summit. When a further attempt was launched by Mallory and others after heavy snowfall, the team triggered an avalanche from the laden slopes of the North Col. Seven Sherpa porters were killed and Mallory was devastated with guilt. They were never seen again, and ever since mountaineers have argued where exactly the pair were when Odell saw them, and whether they might actually have reached the summit ahead of Edmund Hillary and Sherpa Tenzing Norgay, the acknowledged first men to reach the top of this formidable mountain. It remains one of climbing's greatest mysteries. After World War II, Tibet was closed to foreigners by the Dalai Lama, and in 1950 Chinese troops marched in. It would be another thirty years before foreign mountaineers would again be allowed to approach Everest through Tibet, and it was at that time that Chinese parties were successful on the route that George Mallory had been unable to complete. Audrey Salkeld of Clevedon, England is one of the world's premier Everest historians and photo researchers. Her photo editing credits include Everest: The Ultimate Book of the Ultimate Mountain and Everest: The Best Writing and Pictures from Seventy Years of Human Endeavour.